Embossing is the process of pressing a pattern onto a piece of paper giving a 3D effect. It involves creating relief in paper and is a creative way of scrapbooking and making cards. Die to cut, on the other hand, is the process of cutting materials such as paper and fabric into unique shapes. These shapes can be used for scrapbooking, decorations, cards etc. There are many ways to apply to emboss. The most common one is using an embossing heat tool that has a combination of embossing powder and ink. You can also use an embossing stencil that contains a pattern or text that can be pressed using an embossing machine onto a piece of paper. The final option is the use of an embossing pen. 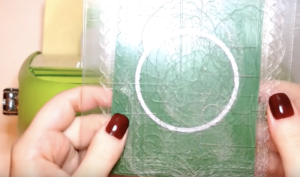 Two patterns are obtained when you work with an embossing pen or an embossing folder. The first is an embossed pattern which can be felt as it is a raised design. The other is a debossed pattern which cannot be felt. Embossing folders are usually made of plastic and have two parts that can be folded together. One side usually contains the design used to create depth and texture while the other is flat. Embossed folders come in various sizes such as 5 x 14.5 cm, 7 x 14.6 cm, 3 x 20.3 cm etc. The size of embossing folders you need is determined by the embossing machine. 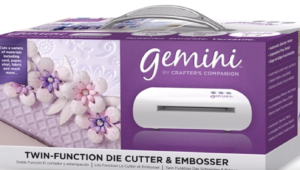 All embossing folders can be used with an embossing machine. During embossing, a paper is usually placed in the middle of the embossing folder. The paper should be lying exactly on the design when you lay it on the embossing folder. After ensuring the paper is properly placed push the paper through the embossing machine. Die cutting is the process of producing cut out shapes manually or by using a machine. Cutting complex patterns on card or paper can be done manually but this requires tonnes of time and patience. For ease you can use cutting stencils which available in various shapes and can make paper figures in no time. There also manual and electronic die cutting machines suitable for cutting various materials such as paper, card and fabric. Cutting machines enable you to perfect your cutting and modify the cut designs to your preference. Manual die cutting machines cut paper and other materials using steel by simply turning a lever. Digital die cutting machines use electricity and are controlled by cartridges or software. You are only required to select the shape desired from the cartridge or the computer software and the machine does the cutting. Embossing and die cutting are processes that to bring artistic styles onto paper and cards. Technological advances have made this art more precise by introducing machines and software that guarantee accuracy. The various tools and accessories make embossing and die cutting fulfilling project activities that embrace creativity. No matter what industry you work in, you have likely come across a situation where you would enjoy or at least use a customized item. Whether it is a trophy for a game you are sponsoring, the creation of new game pieces for a prototype, or simply putting your name on a plaque, the process behind it is still the same. All of these items are created using embossing and die cutting, a simple process that results in beautiful creations. For the most part, these processes are undertaken by a machine, while a human is there to guide the process. This means that shops can only work as quickly as their machines, but that turn around time will generally be much lower than you would think. Each item will usually take less than an hour to create. Even the most complicated designs that you yourself can come up with will generally only take a few minutes of time once they are being fabricated or cut. The speed with which this process can be completed means that you can order bulk items and still expect a reasonable turn around time. You can also expect to take in a single item for embossing and get it back the same day. This makes it much more convenient than other methods and allows you to pull together impressive displays and results in a matter of hours. However, this doesn’t just have to be used for businesses, it can be sued for personal items as well. Many people choose to get their own jewelry created this way or to use the services provided to imprint personal items. Others choose to have custom figures created for their gaming campaigns, one of a kind gifts that will drive their partner mad, or specialty items for their children. Most cities will have places that specialize in this type of fabrication. However, if you find that the results aren’t to your liking, that they don’t give you enough specialization options, there are also online services that will allow you to order from them, usually from a series of pre-fabricated stock or from completely customizable sets. Overall, this is an industry that is often overlooked, but that is in many places if you know where to look. If you are thinking of starting your own business, looking for the perfect gift, or just want to try something new, you won’t be disappointed. Finding embossing and die cutting services isn’t difficult. The real challenge is to choose a reliable contractor to help you with your project. This article shows you what to look for in a professional die cutting and embossing service. Fortunately, you don’t need to leave your desk to find some companies that provide such services. A basic search would do just fine. For best results, you may want to add your location to the search string, but forgetting to do it isn’t a big deal, anyway. Google and all other major search engines are able to detect the geographic position of your device with very good accuracy, in order to customize your results accordingly. Like this, they help their users find the most relevant answers to their search queries. Once you find several local businesses that provide this kind of services, you need to check their credentials, their work experience, and their client portfolio. This should enable you to gain a better understanding of their ability to handle the type of work you need. While you are at it, don’t forget to search for client ratings and reviews. You may find such information on the business pages of those local contractors, on their social media pages, or on third-party reviews websites. Either way, it’s good to check out these reviews, as they can help you rule out all services that didn’t manage to live up to the expectations of their clients. A big number of negative reviews speaks volumes about the results of a business, so you should trust them to be true and stay away from those service providers. If needed, you can contact the service providers directly to ask for client references. This is another useful thing you can do to trim down your shortlist to two or three names. As a general rule, it’s good to have at least two quotes from different suppliers, in order to be able to compare them side by side. This should also offer you some space for negotiations, should you want to fit within a tight budget. All this research should help you find a reliable business partner. If you are still in doubt, you can always ask the finalists to provide you with a few samples of their work, so that you can see them with your own eyes. Furthermore, if you want to place a big order, consider starting small and working your way up from there.